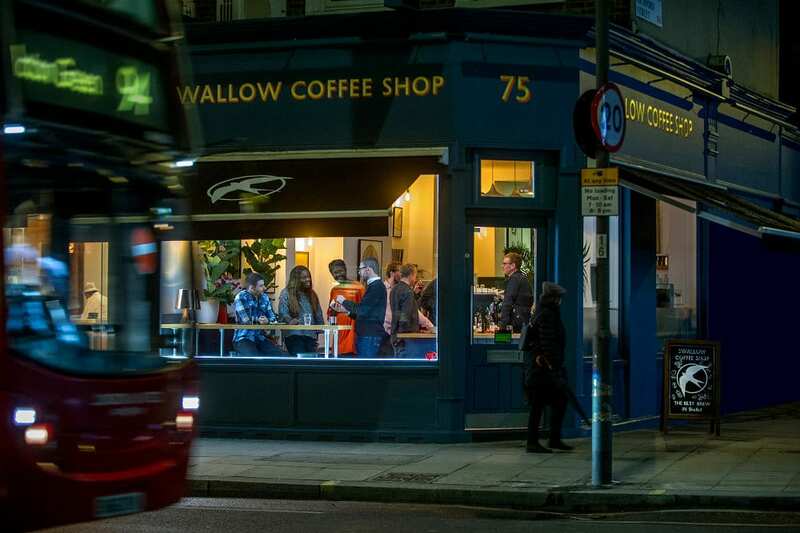 Goldhawk Road’s first speciality coffee shop is open for business. 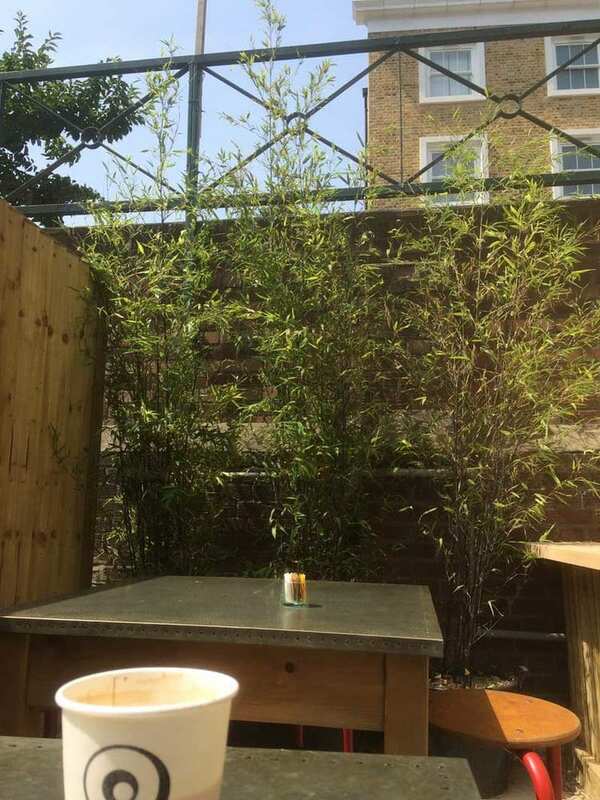 Matt’s ethos is to ‘go the extra mile’ with excellent coffee and delicious fresh food, snacks, cakes and pastries (including vegan and gluten-free options). ‘Our coffee from Ozone is superb as is our unhomogenised Brades Barista milk. We also serve a wide range of teas and freshly baked goods. The Office Dog – Dog and Puppy Training. Sharon Jennings offers relaxed, fun dog training in the comfort of your own home: from 4-week courses teaching you and your puppy all the basics, to one-off sessions helping you and your dog to enjoy better walks. Sharon was taught personally by Victoria Stilwell and is a VSA Certified Trainer. Chiswick W4: Ballet4Life – The Best Adult Dance Classes! * Ballet4Life.com® Celebrating 15 years in London Friendly, fun, authentic dance classes and courses for adults. From beginner to int/adv, specialising in adult ballet; also offering contemporary, pointe, ballroom & latin, 50+dance fitness, Pilates, #silverswans, and character dance. Something for everyone! *so say our devoted clients! Airivo – Chiswick W4. Gable House, located in the heart of Chiswick provides high quality yet cost effective office space with suites ranging from 2 to 50 workstations. Philippa O’Brien Garden Design offers an international garden design and consultancy service with a green emphasis. Plants play the lead role in all designs and environmental issues are always taken into consideration. We provide a personal service and tailor each garden to fit the individual requirements of both private and corporate clients. Mathnasium of Chiswick, your neighbourhood maths-only learning centre. We help children in Years 2 – 12 understand maths by teaching it in a way that makes sense to them. Hammersmith and Fulham London Borough Council is the local authority for the London Borough of Hammersmith and Fulham in Greater London, England. It is a London borough council. Hammersmith and Fulham is divided into 16 wards, electing a total of 46 councillors. Brackenbury Residents Association represents an incredibly vibrant community of local residents and their families who seek to make Brackenbury a better place for the future by working to maintain and improve the quality of life for us all. 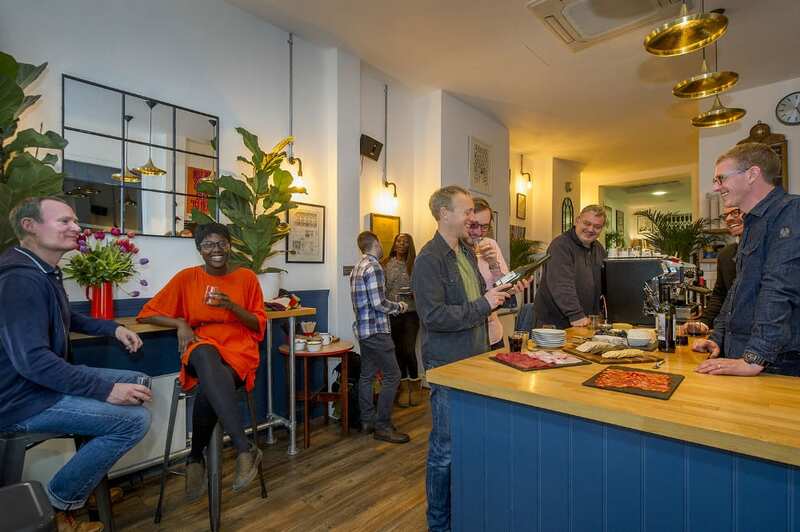 The Duchess – Hammersmith W6 – We aim to pride ourselves on excellent service, exceptional food, selection of ales including locally brewed ales, premium lagers, gin, spirits and fine wines with an all round great experience. West London Estate Agents: Horton and Garton. The focus is on a fusion of cakes and cocktails, but with a twist! Hence you can order Caketails, in other words cake-flavoured cocktails (Pineapple Upsidedown Cake, Bourbon Black Forest, Chocolate Cake Martini) and cocktail-flavoured cakes (Espresso Martini, Raspberry Mojito and Dark and Stormy). We’re Glass Door Homeless Charity, London’s largest open-access network of emergency winter shelters and support services for men and women affected by homelessness. d-lite.co.uk is small lighting & electrical wholesaler in Richmond who specialises in supplying good quality products to Professional Tradesmen, Architects/Designers and Developers. Sporting Feet Richmond – We stock great quality footwear and accessories for most sports including running, tennis, gym & fitness, football, rugby, netball, hockey, cricket and many more. We cater for kids as well as adults. We are specialists in Physiotherapy, Biomechanical Analysis and Injury Management. Our clinic is conveniently located next door to St Margarets train station, Twickenham. Stour Space – A socially minded organisation offering exhibition, performance and studio space for the development of creative enterprises. Hepsibah Gallery – An erstwhile shop selling extravagant millinery to the rich and famous THE HEPSIBAH GALLERY has managed to keep its loyal following in its unbelievable transformation from a Mrs Haversham type clutter of feathers to a slick but still charming Gallery. Fuller’s – Fuller’s Brewery (Fuller, Smith & Turner plc) is an independent, family-run regional brewery, founded in 1845 in Chiswick, West London, England. John Fuller’s Griffin Brewery dates from 1816. Fuller’s owns and operates over 380 pubs, inns and hotels across the south of England. Hala Health and Beauty Clinic is Fulham’s specialised skin, health and beauty centre. Owned and run by Doctor of Medicine Dr Hala Mahfoud, we offer medical grade face, skin and body treatments by qualified and trained Aestheticians. Naz Zeneldeen Hair and Beauty – Specialising in cutting, colouring and styling hair (men and women) and gentlemen’s grooming, Naz owns two elegant adjoining salons on Wandsworth Bridge Road. ‘Every new client is different, so we take the time and trouble to chat and get to know them,’ he continues. ‘Then we can decide what approach to follow and, of course, we’re happy to give advice and make suggestions. Barley Mow Centre – Located in the heart of West London’s leafy Chiswick, Barley Mow is a vibrant business hub of innovation and creativity. Offering office and studio spaces, whether you’re looking for exposed brick feature walls or a mezzanine, our studios are a blank canvas to make your own. Bertotti Pure Italian – On a hot, sunny day, there’s no more tempting treat than an ice cream. Avanti – Serving tempting tapas and stone-baked pizzas, Avanti is a family-friendly restaurant. Avanti is a Mediterranean fusion restaurant with an emphasis on tapas and authentic Italian thin crust pizzas. The Rook’s Nest is ideally located for shows at the apollo and the lyric. We pride ourself on being a friendly and inviting place to be, we are a local aswell as being a stop off for visiting guests. We offer a bespoke service to a client base that encompasses both the private and the public sectors. All furniture is handmade in London by a highly skilled team of upholsterers, carpenters and restorers, led by The Chairman himself. Our frames are made from prime seasoned beech wood, and all furniture is hand-sprung using traditional methods. Hearing Well: Hearing Tests, Hearing Care & Hearing Aids, Chiswick. Chelsea Fine Arts’ mission is to develop and expose artistic talent in young people. Gunnersbury Triangle – Over 30 years ago local campaigners preserved a green lung in the heart of Chiswick. Home to an exciting variety of flora and fauna, it is a magnet for children of all ages. Pod Fitness – Get in shape in the great outdoors. Enjoy the benefits of small group training in local parks with Pod Fitness. Betty Blythe – Our Luxury specialties are children’s parties, sweet sixteen and baby showers, all tied in with an Afternoon tea theme. The George IV takes the crown as one of Chiswick’s best pubs. We have a brilliant courtyard garden with an outside TV, fresh food every day and traditional real ales brewed virtually on the doorstep. We also host comedy nights every Friday and Saturday night. We are a team of artists and educators who love to share and teach art. Since 2002, when founded by Auriol Herford, Kite Studios has been offering quality education in a wide range of art disciplines – for everyone in the community. Pillar Hall is a large classical room with ornate fittings and Corinthian pillars. A delightful event space with a dedicated entrance on Olympia Way. There is also access from the ground floor of Olympia Grand. Situated within Olympia London opposite Kensington (Olypia) and Kensington Olypina underground station. Located in the peaceful residential oasis of Brackenbury Village in Hammersmith, West London, the Brackenbury Clinic has been offering the highest standard of natural health care for over 30 years. Residents of surrounding Chiswick, Shepherds Bush, Holland Park and further afield are also drawn to the clinic by the wealth of experience and friendly, personal approach of the practitioners. Our registered osteopaths, homeopaths, acupuncturists and other natural therapists treat people of all ages both for mild everyday complaints and for serious chronic illnesses. With beautifully refurbished one, two and three bedroom apartments available to rent and a dedicated on-site manager, Palace Wharf in Fulham is one of West London’s most desirable locations. Through the stories of the Bishops of London, Fulham Palace chronicles over 1300 years of English history. Focusing on the disciplines of portraiture, figurative painting, printmaking and sculpture, the Heatherley School of Fine Art has a proud heritage as a teaching institution. Occupying the same four-acre riverside site since 1673, Chelsea Physic Garden was established by the Worshipful Society of Apothecaries to grow medicinal plants, develop remedies and train apprentices in the physic or healing arts. The Herdman Family Carpet Shop was first formed in 1987, and has built a reputation as a very professional family business since then. We are members of the Guild of Master Craftsmen and care about our customers and the service they receive. After 29 years in business, we pride ourselves that we are truly a family concern, and at least 9 of our 10 staff are family members. Hamlet Gardens, situated opposite Ravenscourt Park is a highly sought after location in W6, within walking distance of Ravenscourt Park tube and within Westcroft Square conservation area. Hamlet Gardens comprises beautiful and sympathetically restored red brick Victorian mansion blocks that contain luxury apartments of varying sizes – 1, 2 and 3 bedrooms, some benefiting from park views. All the apartments have recently been refurbished and are available to rent on flexible terms. Each individual block has it’s own security as well as an on-site building manager. We at Farina & More believe in natural & authentic taste. We believe in the simplicity of our ingredients, carefully sourced & picked directly from Italy. We use the best ‘Farina’: unrefined, organic flour mixed with high-fibre, low-fat, multigrain flours. Our dough has been developed after years of studies and experience and contains 80% of water. We combine mother yeast with normal yeast to obtain a fragrant and tasty dough. But we believe that time is actually our best ingredient… we use the ‘cold’ technique which, with a ripening of the dough lasting up to 72 hours, allows our pizza to be light, crispy and very digestible. Classic barbering skills and old-fashioned customer service in stylish surroundings. The Ozmas Decorating team led by owner Georgie Knight, offer an Interior and Exterior Painting and Decorating service, including wallpapering and colour/finish advice for both residential and commercial properties. Clients include private homeowners, landlords and residential and commercial agents. 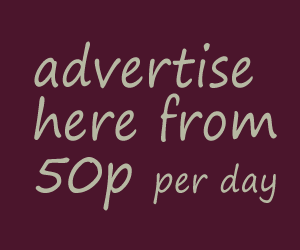 Realistic quotations are provided for a range of job sizes to the highest professional standard. Tool Chest is a family run business which opened in September 1984. Begun by Ian McCarroll, himself a contract builder, the Tool Chest crew have always retained a clear objective – to offer their customers something different to the traditional high street hire outlet. The Grove Neighbourhood Centre provides a social centre for local people, a drop-in support service, premises for a wide variety of local groups and practitioners. The Grove Neighbourhood Centre hires our halls where a range of activities take place: yoga, pilates, Wing Chun, Keep fit for over 50s and a wide range of other activities and treatments including therapy and social groups amd meetings. The owner of Tipsy Toad, Manjit Rana has been a friendly face on Hammersmith Grove since 1989, when she and her late husband Rana opened the Tipsy Toad convenience store. Manjit is keen to keep up to date with changing tastes and she now stocks fresh organic breads, delicious patisseries, dairy and gluten-free products and a superb selection of beers, spirits and wines. Always keen to assist the community, Manjit is also happy to deliver to older residents. ‘It’s just a way of giving something back,’ she says. Chiswick Pier Trust works to engage people with the River Thames. We provide access to the Thames and support major river events, as well as organising events of our own. We also host an annual season of ‘Talks by the Thames’ which highlight the history, wildlife and ecology of the Thames. The Chiswick Pier Trust runs the Chiswick Pier and Pier House. In this role we manage the commercial and residential moorings at the Pier, as well as venue and conference hire at Pier House. Whitman & Co is renowned for its considered approach and realistic valuations. ‘We never over-value and, because we’ve got such a good turnover, we can identify a price point more clearly than anyAt Whitman & Co, we pride ourselves on being one of the very few truly independent estate agents in Chiswick – West London, all the directors endeavour to take a very active role in day to day activities so both vendors and applicants will benefit from the wealth of experience and knowledge that comes with this. The Queens Head Pub restaurant in Chiswick was established in the 18 century as a village pub, it now provides dinners and all a memorable experience, in a restaurant with seating perfect for the whole family, welcoming dog owners the opportunity to relax in the open bar area, which adjoins the adults only Whisky – Snug Bar. Our pub restaurant boasts a stunning terrace to spend your time in during those warm days or long evenings, along with a beautiful landscaped beer garden perfect for that summer BBQ Party with friends, colleagues or the after work get together. We are an independent, family-run pub restaurant with a warm atmosphere with three open fires, a friendly staff and menu created by our Head Chef, who uses his creativity and background in butchery to bring a seasonal changing outstanding menu. We work with the UK’s best farms and butchers, our selections offer some of the most fresh, original, smoked and grilled food in London. We offer various beers on tap, carefully selected bottled beers and sourced wines, whiskey, alcoholic and non alcoholic drinks. Bridge Suzuki Music is a group of dedicated Suzuki trained violin teachers with an emphasis on fun, friendliness, and inclusiveness. Little Black Book is a personal matchmaking service in London. We get to know you and provide bespoke introductions based on what you are looking for in a partner. Specialising in corrective exercise and Pilates, Susan Harker has developed a thriving practice at the Novotel London West Hotel. Susan tailors a holistic scientific programme to the needs of each client. Chelsea Fine Arts are taking bookings for Term Classes and Half Term and Holiday classesand Adult drop-in sessions. Since we opened The Kensington Wine Rooms in April 2009, we have acquired a reputation as one of London’s best wine bars, and as a focal point of the local dining scene in London’s Notting Hill. Richmond Park is in the London Borough of Richmond upon Thames. The park was created by Charles I in the 17th century as a deer park. Richmond Park is the largest of London’s Royal Parks, is of national and international importance for wildlife conservation and is a national nature reserve. Focusing on the West London area, Whitehall Construction specialises in whole house renovation, loft conversion, kitchen and side return extension, basement excavation and bathroom re-design. We aim to entertain, challenge, move and amaze with a bold and continually evolving mix of new and re-discovered plays in our unique in-the-round space. We want to change lives by telling remarkable stories from a wide variety of times and places, filtered through the singular imagination of our writers and the remarkable close-up presence of our actors. Keith founded West London Kitchens in 2008, since when his team has won a reputation for craftsmanship and outstanding customer service. All the kitchens are designed and made bespoke for each client; the company specialises in German (Schuller), Italian (Aster) and English (built to order in the UK) ranges in every material, colour or finish. All come with the latest storage options and accessories as well as a five-year guarantee. If you’ve never ventured down the exterior stairs of Richmond Vault, you’ll probably be very surprised. Located under two Georgian buildings, it is far from the gloomy cellar dive that you might expect to find. Rather, it’s a spacious multi-level labyrinth full of cosy nooks and crannies. Dave founded Gasworks London in 2006 and he provides a 24-hour service throughout West London, focusing in particular on Richmond and Chiswick. Prior to that he spent 15 years with British Gas. Elite Textile Care provides eco-friendly wet cleaning, expert tailoring and the opportunity to sell clothing Go behind the scenes at Elite Textile Care and you’re struck by the Tardis-like nature of the premises. Behind the counter there’s a huge room – and that’s exactly what prompted owners, Ravinder and Menon, to expand their dry cleaning operation to include bespoke tailoring, alterations and even a retail area in which the public can sell their pre-used clothes. The Carpetstore team is always crystal-clear about costs (including underlay and fitting), ensuring there won’t be any unexpected bills landing on your doormat. The only surprise should be a good one; of just how wonderful your new carpet looks when it is in situ in your home. The Associated Studios is one of Britain’s leading performing arts academies, committed to the training and continued professional development of both aspiring and established performers in the disciplines of Acting, Musical Theatre and Opera. The Associated Studios offers full-time and part-time training in Opera, Musical Theatre and Acting. In addition to the courses, Professional Development one-day workshops in all disciplines run throughout the year with leading industry professionals. La Toscana serves classic Italian cuisine with a modern twist. La Toscana is a welcome addition to Chiswick’s dining scene. With daily specials, great value set lunch offers and a wonderfully warm ambience, La Toscana is the perfect party location. A pub at the heart of its community, The Thatched House is equally welcoming to couples, families, social groups and corporate events. The chef specialises in using seasonal produce, and changes the menu each week. Sunday roasts and moules marinieres are particularly popular. They also offer lots of gluten-free and vegan dishes. The pub hosts lively music events, including a regular opera evening and live jazz. It is also perfect for wedding receptions, birthdays and even wakes, with up to 70 guests. A stone’s throw from Ravenscourt Park, the pub has many dog walkers pop in for a drink. So that their four-legged companions needn’t miss out, there is even a non-alcoholic drink called Bottom Sniffer, a fitting reward for a tired pooch. You may have to search quite hard to find The Andover Arms in the heart of Brackenbury Village, but the quest is well worthwhile. Tucked away in the terraced streets, it is the epitome of an old-fashioned, intimate English pub. In fact, the locals will tell you that they regularly appear in photographs taken by tourists eager to sample a proper London pub atmosphere and lured to Hammersmith by The Andover’s impressively high rating on TripAdvisor. The pub has such a cosy feel. It’s homely and you feel you’re part of a local community, everyone talks to you and is just so friendly. Indian Zing is a highly regarded Indian restaurant situated in Hammersmith close to Ravenscourt Park. We have received some great reviews: Fay Maschler – Evening Standard, Jeremy Wayne – Guardian, Zoe Williams – Stella Magazine – Sunday Daily Telegraph, Bill Knott – Financial Times, Michael Winner – The Sunday Times, Cobra Good Curry Guide, Tatler Restaurant Guide, Michelin Guide, The Good Food Guide, Zagat, Hardens, and Tripadvisor. With its stylish exterior, Swallow is a distinctive addition to the neighbourhood. Excellent coffee and delicious fresh food, snacks, cakes and pastries (including vegan and gluten-free options). ‘A wide range of teas and freshly baked goods are on offer. One of best-located pub restaurants in Hammersmith, we’re conveniently close to Olympia, the Eventim Apollo and Lyric Theatre – making us the perfect place to find pre-show food and drink. We’re well connected by rail, just a short walk from Hammersmith tube station, and there’s car parking spaces nearby for drivers, too. 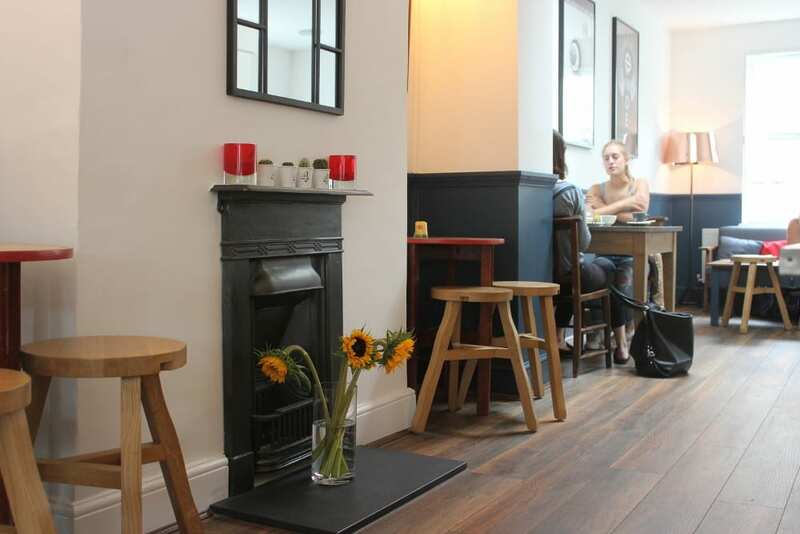 At London Auctions, a key component of the all-round experience is the stylish L’Art Café, managed by Sandra Saxinger. You could say Sandra was born into the job. ‘My family lived above a bakery in Frankfurt,’ she admits. ‘So, I can blame that for my love of sweet treats!’ Sandra has sourced all the tempting cakes and savouries on offer: ‘They are handmade locally, freshly delivered every day and have no gelatine or artificial colours.’ L’Art Café can also be booked for private parties and traditional English afternoon teas.